One of our customers had a unique challenge with bringing a new product to market. 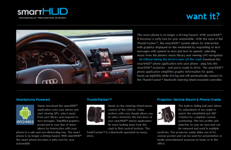 They were developing proprietary display and user input technologies and needed the mobile device for the compute platform, high bandwidth communication, driving the display and managing complex user interaction. Using Android as a platform we were able to develop a system that can employ the owners mobile device and seamlessly connect to and communicate with the proprietary peripheral devices. Due to the unique user environments for the system the user interaction and interface required completely custom developed, not relying on the tradition Android user interface tools. The resulting system is an integrated package using Android and the user supplied device as the core, delivering a unique user experience. A customer approached ObliqueVision with a large collection of historically significant photographs. The images were of the Berlin Wall just before the fall and the customer wanted to both preserve and present the images to the public in addition to monetizing them. Since all the images represented a precise geo-location we discussed several options for a geo-spatially based application. Finally we proposed the concept of an augmented reality based mobile application that would recreate the wall. ObliqueVision build a geospatial server and data base to communicate with a commercial front-end AR application. The Images were painstakingly geo-register based on the photographer's unique knowledge of their location using a tool we provided. Finally be developed a mechanism for sponsors to inject ad content into the application giving sponsors the unique ability to deliver ad content to individuals who were in precise locations and times. Augmented Reality remains a focus of ObliqueVision with our desire to employ the evolving technology in enterprise scale applications such as fields services, emergency response and commercial situations. ObliqueVision believes that in order to fully achieve this there needs to be significant effort in the development of contextual awareness systems to provide the proper information given the current user situation. This is based on our years of development of situational awareness systems involving multi-souce/media spatio-temporal information. For this reason ObliqueVision is developing a contextual awareness framework for mobile application that require accurate retrieval and delivery of spatio-temporally sensitive information. Over the years ObliquevVision has worked with many technologies to deliver various forms of multi-sensor/source decision support and situational awareness systems for a broad range of problem domains and delivery mechanisms. As our technology evolves (mainframe, client-server, web-app, mobile) the sophistication of the solutions also has evolved. We now have commodity based hand held sensor/source platforms (smart phones, etc.) that only several years ago were all but unattainable by all but the most sophisticated organizations. A common aspect of the majority of the non-trivial systems has been they share a common theme which involves some notion of the context of both the system(s) and the user(s). By non-trivial systems I mean they consume many sources of information (both sensor based and data) and have sophisticated user interaction and visualizations. Many times the system is responsible for winnowing down a vast information space and creating visualization and interactions that are apropos to the situation at hand which can be very fluid and dynamic. Based on our knowledge and background ObliqueVision is developing a contectual awareness framework for mobile multi-source/media situations that involve spatio-temporal data. In tother words the vast majority of enterprises scale business application. Please feel free to contact us if you are interested in exploring mobile applications that require contextual reasoning about complex data in order to get it to the right person, in the right place at the right time. Budget Buddies is a Massachusetts-based, non-profit organization focused on improving the financial literacy of low-income women in the Greater Lowell area. Our innovative, no-fee program combines workshops on budgeting, banking, and credit with one-on-one coaching and support groups to help clients develop core money management skills and resolve their individual financial issues. 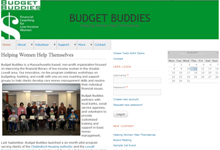 Budget Buddies partners with local banks, social service agencies, and volunteers to provide customized training and support in basic money management. ObliqueVision provides design, development and deployment expertise to Budget Buddies. Their new CMS will allow Budget Buddies flexibility in communicating with the public, managing their training and volunteer program and maintaining and recruiting their donor/sponsors. ObliqueVision is proud to support this deserving non-profit in this small way. The Middlesex County 4-H Fair, Inc. is a non-profit organization (501c) run entirely by volunteers. A 14-member volunteer Board of Directors oversees the operation of the Fair and management of the fairgrounds in Westford. 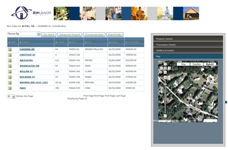 Their new CMS provides the Fair Corporation flexibility in communicating with the public, managing the fair and rental operations and managing the grounds. As the population of the US ages, we as a society are faced with many challenges in maintaining the quality of life for these individuals. Over that last decade we have seen an enormous growth in the sophistication and economic feasibility of technologies that can maintain and enhance the quality of life for the aging population. The current availability of inexpensive commodity wireless communication infrastructure, web based content provisioning and inexpensive tablet based devices provides the ideal opportunity to bring information technology capabilities traditionally only available to technically competent to the aging population. Innovative user interface and interaction techniques can make accessibility to core capabilities easily within reach of those who have never experiences them.